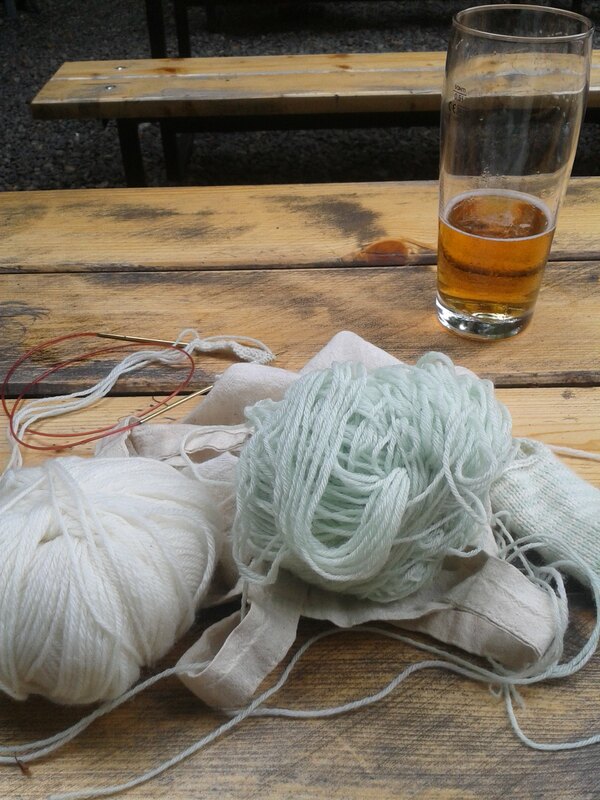 But i caught up and knitted quite a bit, waiting for my friends in beer-garden in Prague. Where I quite stirred the interest of people around me. Well, I had a great time! Separator image Posted in My kniting & crochet and tagged with KIP. 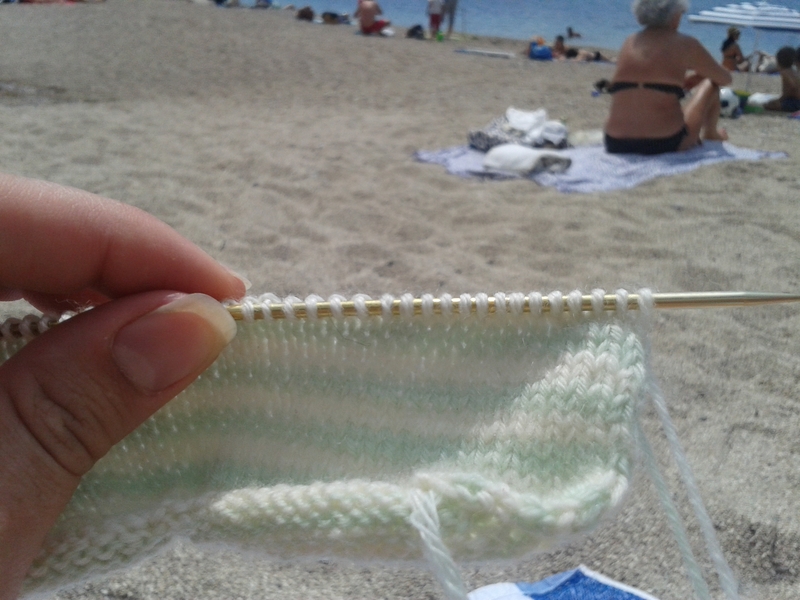 knit in public.